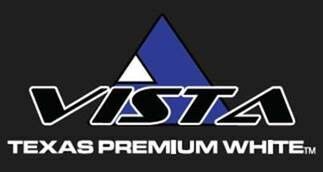 Vista Sand is proud to be known for its Texas Premium White™ frac sand, which possesses the highest crush strength of any currently produced in the state of Texas. Vista Sand’s products include its 100 Mesh and 40/70, which possess a 9,000 and 7,000 psi crush strength, respectively. In 2016, Vista Sand held 10% percent of the US frac sand market and 25% of the US 100 Mesh market. Vista Sand is led by a CEO who understands the importance of employee safety. Vista Sand is proud to have received the Sentinels of Safety in 2014 from the National Mining Association (NMA), which is only awarded to the safest mines in the nation. In order to qualify for the award, a mine must have more than 4,000 injury-free hours. Vista Sand has gone more than 400 days without a reportable employee injury at its mine. Additionally, Vista Sand is proud to hire qualified people of all backgrounds, and especially the brave men and women who have served in the armed forces. Vista Sand and its sister companies, Maalt, LP and Maalt Specialized Bulk, maintain a recruiting website, www.careers4veterans.com, specifically for those brave people who fought for our freedom. Vista Sand is headquartered in Granbury, Texas, and its mine is currently located on the Fort Worth & Western Railroad. It is led by an owner and leadership team dedicated to quality, employee safety, and strong community relations. Currently, Vista Sand and its sister companies employ over 500 employees in Texas, New Mexico, and Oklahoma.